Pigeon and beetroot are the stars of this earthy main. 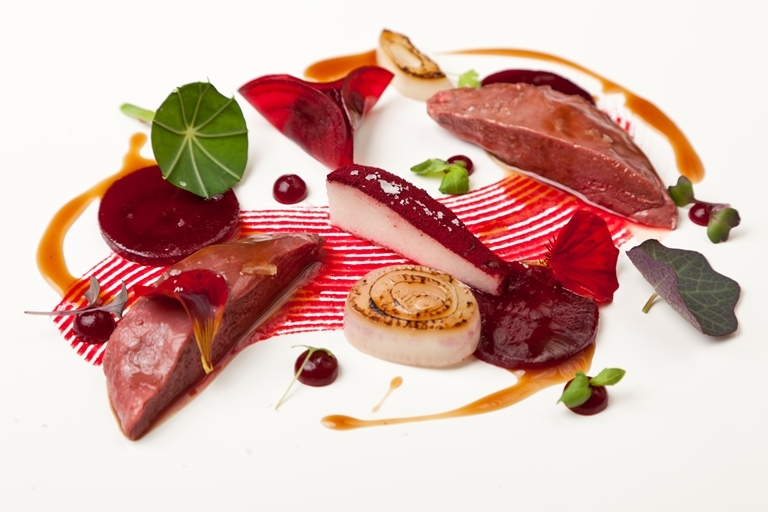 Preparing this dish exactly as Colin McGurran does in his restaurant will require some skill as well as some specialist equipment - you could always take this pigeon and beetroot recipe as inspiration and prepare one or two of the components rather than the complete dish. Colin recommends making a pigeon jus or gravy to use as a sauce.